Welcome on our Homepage and enjoy browsing around. 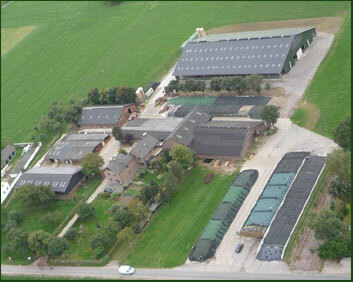 We (Friedrich and Carolina with Kevin and Rebecca ) run 75ha farm in central Germany, we have a Pedigree herd of approx. 130 cows plus progeny. To make sure the mice don't get the better of us, we have quite a few cats in assortment of colours. Lotta and Paula our goats also belongs to our assortment of animals and our Australian shepherds Tessa and Holly.